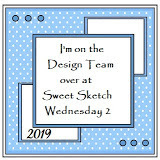 So here we are already into March and I have completed my first month on the design team at Sweet Sketch Wednesday 2 and that month just flew by. and to start March off we are sponsored by Bugaboo who have a great variety of images to choose from. I chose Daffodil Can to play with., such a great image for Easter or Mothering Sunday which is only 10 days away here in the UK. Stitched circle is a Memory Box die and I just realised that I should really have cut the small one out from the same set. The wellingtons have been cut with a Joanna Sheen die from shrink plastic then shrunk and then coloured with a Promarker. I printed the image 3 times, coloured it with Promarkers and cut one layer of flowers and then a single flower and decoupaged them. I think this image shows the effect. 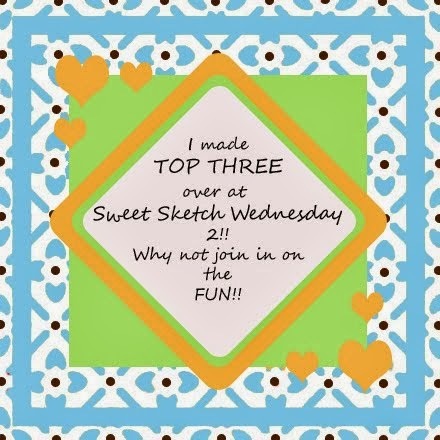 Thank you as always for visiting and for any comments you might leave, it is always uplifting after a busy day on the work front to come home to a lovely comment on here, and if you have the time please pop over to Sweet Sketch Wednesday 2 and see what my lovely and very talented teamies have created, and maybe join in with us this week too. First of all, I have to say that I absolutely loved the Wellies you used for your embellishments! I also really like how you popped the flowers too (missed that detail over on the SSW2 blog.) This card is darling, Anne. Gorgeous Daffs and love the pretty papers. Gorgeous card Anne and love the pp of the Daffs. and the little added touch of the wellies, pretty papers too. Hello Anne, Wow, I love how you have layered and popped the leaves and daffodils...I have never thought of decoupaging the images! Clever you! 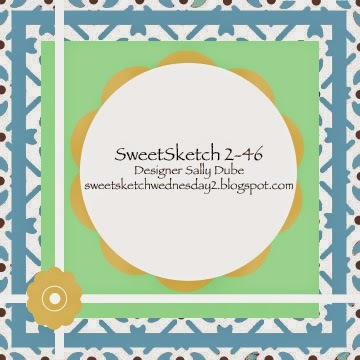 Cute idea to use shrinky dink images for your embellishments! Looks like you have settled in well on your first month at SSW2! Welcome again!